Mrs Wivine has more than 20 years of experience in natural resources, climate change, disaster risk reduction and management, Environmental education, Environmental Impact assessment, Biodiversity, Biotechnology, Environmental law, transboundary ecosystems management and conservation (including project formulation, implementation and evaluation). She has been working with the University of Burundi for 28 years as researcher and lecturer, and visiting at National University of Rwanda, University of Ngozi, Hope University and Institute of Agriculture and Animal Husbandry at Busogo in the field of biological related sciences. 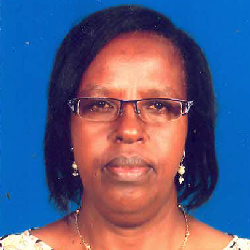 She is currently working with the East African Community Secretariat as Principal Environment and Natural resources Officer (PENRO) and has occupied this position for the past five years.